To my great embarrassment, I was recently named the NY1 News New Yorker of the Week. I share this news with you not out of hubris, but rather to relate an amazing parable about the power of music. 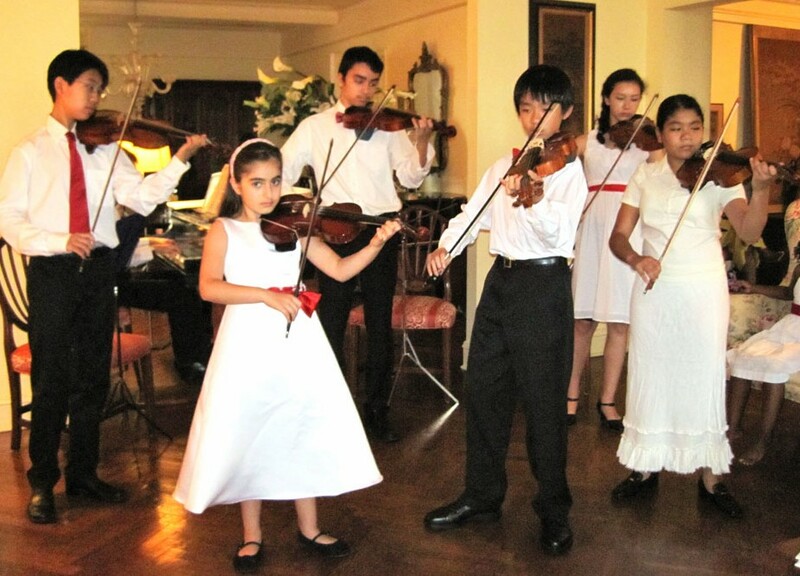 During the taping of the news segment a marvelous thing happened—it was a hot day in July when the NY1 camera crew came to my home to film a Mozart Academy recital. The windows were left wide open and the children’s beautiful music floated out over Central Park. 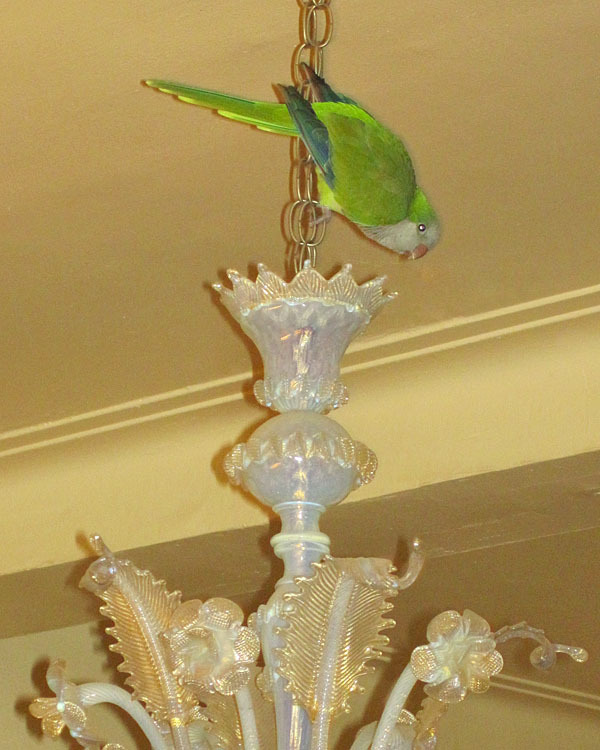 Quite unexpectedly, a bright green African Parakeet flew in and landed on the chandelier. All those in attendance were astonished – with the exception of the dedicated and focused child-violinist Tyler Wong, who did not miss a single note of Mendelssohn’s Concerto for Violin; despite the commotion. Fortunately, a rather tall camera man was able to capture the frightened bird and bring it to the ASPCA. Several weeks later I learned that the bird was returned to its grateful owner in Washington Heights. The small escapee it seems loves classical music and that is probably why he sailed through the window that day and was ultimately reunited with his family. It was a remarkable testament to the power of music to heal, comfort and unite us in the most magical of ways, as well as to the commitment of the young artists of The Mozart Academy. I confess, it is not always easy to meet the needs of our students, and sometimes I become discouraged. The need is so very much greater than our resources – and then, miraculously, I am bolstered by some new achievement of one of The Mozart Academy’s students and I continue on. Not surprisingly, the wonderful NY1 piece brought even more talented and deserving children to our doors, while sadly we are still limited to serving only the number of students that our budget allows. We of course continue to seek innovative ways to expand our reach and will keep you up to date on them regularly. You can see the NY1 story by clicking here. Again, I am grateful for the opportunity to share with you this story that touched me so and to thank you again for your support of The Mozart Academy.